Our Indianapolis flooring store selected another lucky Rug-A-Month Giveaway recipient: Katie Hughes from Indianapolis, IN. 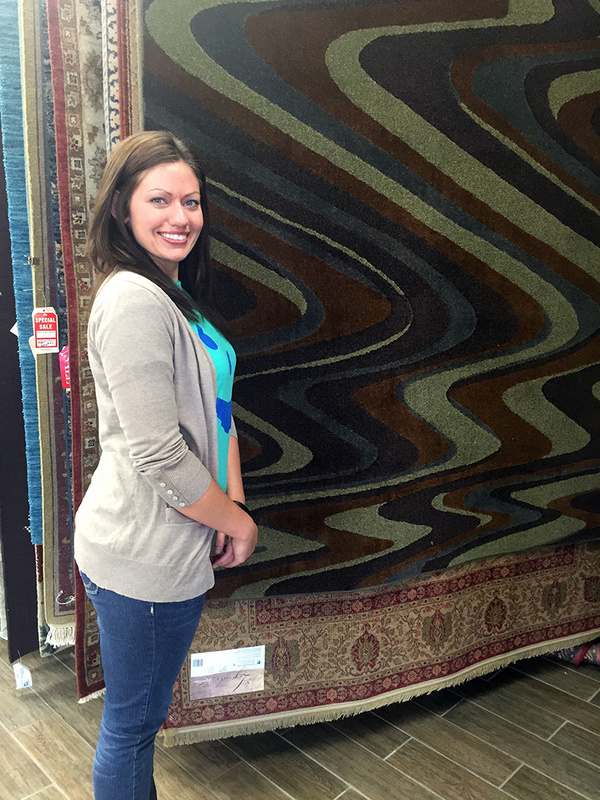 After Katie's name was randomly selected from our website entries, she stopped by the store to pick out her new rug. She chose the multicolored wave pattern shown above. Once Katie got her new area rug settled at home, she shared with us some photos revealing its final location: the living room. We love it, Katie! It looks like the dog approves, too.